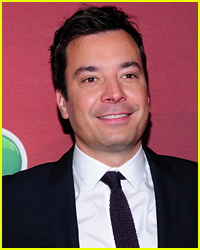 Jimmy Fallon Does Hilarious Mitt Romney Impression In Front of Mitt Romney! 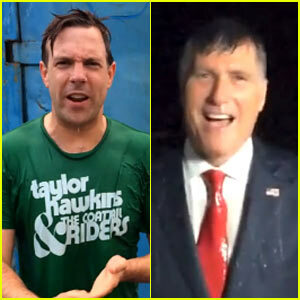 Jason Sudeikis Accepts Mitt Romney's Ice Bucket Challenge! Jason Sudeikis has accepted the ALS Ice Bucket Challenge and his video may be one of the wettest ones we have seen yet! Mitt Romney waves to the crowd before conceding the presidency at his election night event held at the Boston Convention & Exhibition Center on early Wednesday morning (November 7) in Massachusetts. The 65-year-old former governor conceded the race after it became clear that his opponent Barack Obama had won the race, with wins in almost all of the crucial swing states. In case you missed it, check out our round-up of celebrity reactions to the re-election of President Barack Obama. 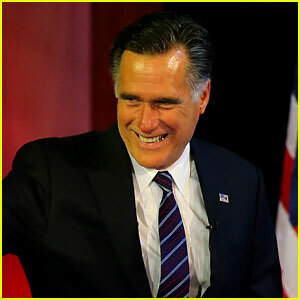 Watch Mitt Romney‘s concession speech in full below! Barack Obama Wins Presidential Election 2012! Barack Obama has defeated Mitt Romney and is projected to be elected to serve a second term as the President of the United States! The 51-year-old incumbent president’s success in the election came with winning many of the swing states, including Iowa, Ohio, and New Hampshire. The Obamas celebrated the win in his home state of Illinois and he is expected to give his victory speech later tonight in Chicago. Check back for the official results and President Obama‘s speech. ARE YOU HAPPY that President Obama will serve a second term? Bradley Cooper has lent his voice to Hindsight, a new work-in-progress documentary that is looking into the policies and actions of Mitt Romney. “Based on the spectacular success of Seal Team Six, several journalists have asked me what a film on Mitt Romney would look like,” studio mogul Harvey Weinstein wrote in a Huffington Post piece. “I told them it would definitely be a comedy, so I decided to get the Seal Team Six team back together. John Stockwell and Meghan O’Hara have joined forces with me on the feature film Hindsight. 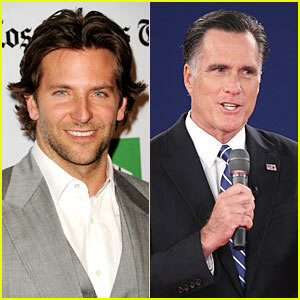 Here is a little trailer of the work-in-progress so far… narrated by Bradley Cooper,” he added.